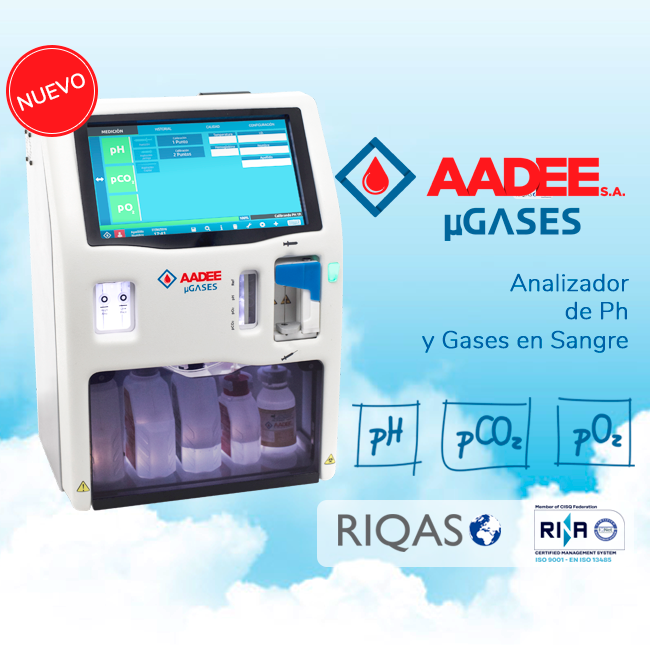 From our very start in 1973, AADEE is devoted to development and manufacturing of blood gas analyzers, essential for Intensive Care units. Currently, we are the only manufacturer in Latin America that develops and manufactures this kind of instruments. 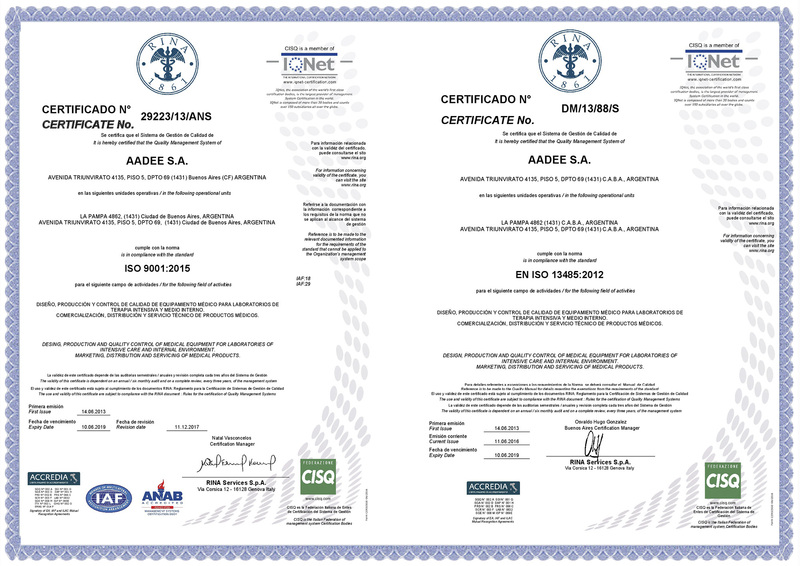 We are ISO 9001 and ISO 13485 certified, and our products bear the CE mark, so we export our analyzers to different countries worldwide, mainly in Latin America. 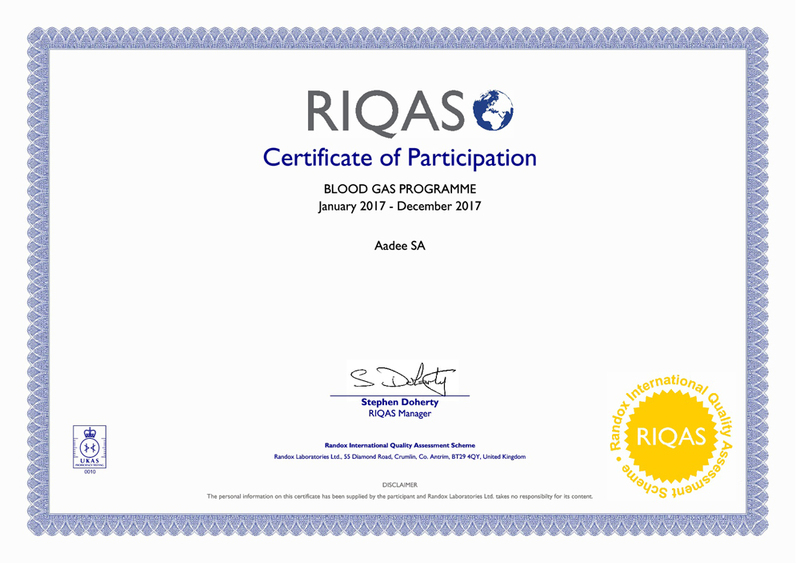 Our RUMI BG, can determine the value of pH and partial pressure of Oxygen and Carbon Dioxide from a blood sample. 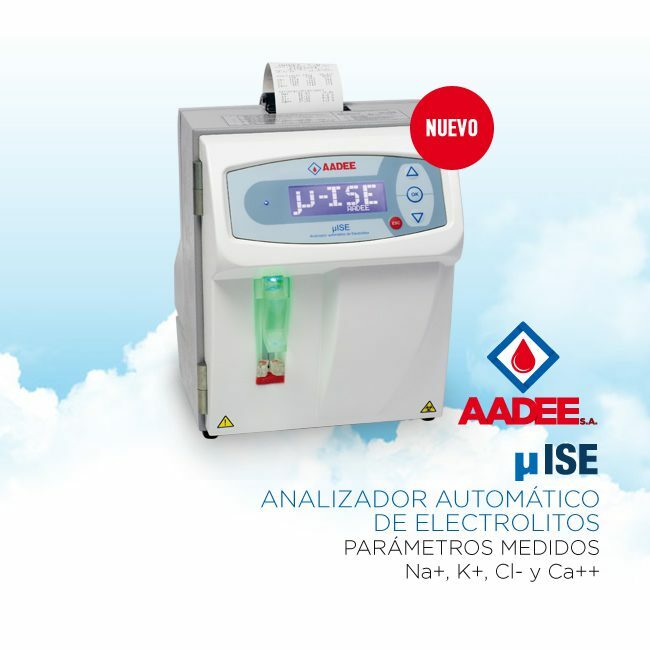 The accurate evaluation of the breathing function of a patient, together with the values of the acid-base equilibrium, renders this technique into one of the most necessary and required ones at IC units. Our new RUMI µISE electrolyte analyzer determines the values of Na, K, Cl, and Ca in blood or urine samples. Blood also contains a variety of chemicals called electrolytes, which rules important functions of the body. Nerves and muscles functions depend directly on the correct electrolyte interchange inside and outside the cells. Specially trained service staff is essential for this type of equipment, so we provide continuous preventive and corrective technical support, available 24 hours a day, 365 days a year. Likewise, we train our distributor´s staff so to ensure the correct support and trouble resolution of any inconveniences. We also have a research and development team, where a staff of excellent professionals is aimed to improve and develop new products. It is our mission to grow in the use of new technology processes, rendering the best products and services that lead to new levels of knowledge, in close cooperation with the technology progress. Meet AADEE S.A. “A firm that answers to your needs “. We know and understand our market, so we can attend and support you in the most suitable way.